Let’s talk bodily functions. One bodily function. I have crisscrossed Brooklyn many times now saving trees. The availability of a place to pee structures my day. After my commute to the site, always on a residential street with nary a store, the first thing I do is trek to the nearest commercial stretch to beg some bodega owner to use their restroom. It’s 6:45 am. Few places are open. Sometimes the person behind the counter just says No, with a cold, distrustful look in his eye. Out of order! he sometimes says. Women behind the counter more often take pity. One said, after the automatic Out of order! and after I begged her, plucking at my orange vest to show I was somehow for real, Only wee-wee? Yes! So I won her over. The vest counts for a lot. The day goes on as we proceed to lay new sidewalk and save trees at different sites throughout the borough, and I take breaks when I can to walk off to find facilities at a pizza parlor, a 7-11, a candy store, a diner. The stall at a diner is bare bones. I come back, the workers are digging. The men are pouring concrete, smoothing it out with their floaters. They’re throwing big hunks of old cement into the bucket of the back hoe. Did they pee while I was gone? 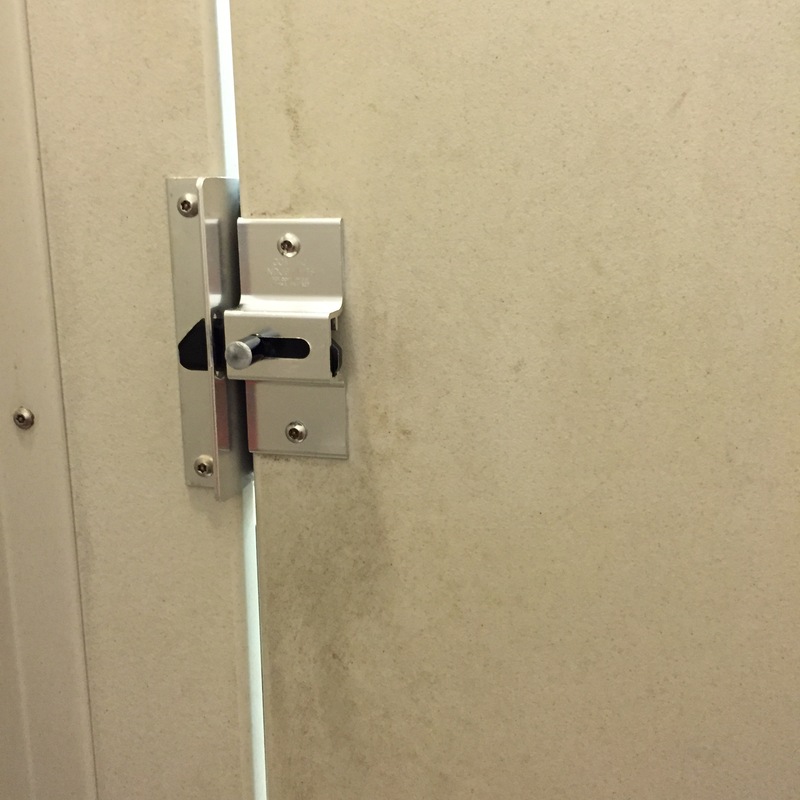 I ask the engineer on the job: Where do they go? He laughs. He seems surprised that a woman would raise such a distasteful subject with a man she barely knows. Really, I say. I’ve never seen them leave. They have their ways, he says. A laundromat I went to with a kind and respectful proprietor had Halloween decorations all over the walls, including framed ghoul portraits and red bloody handprints across all the washers and driers. 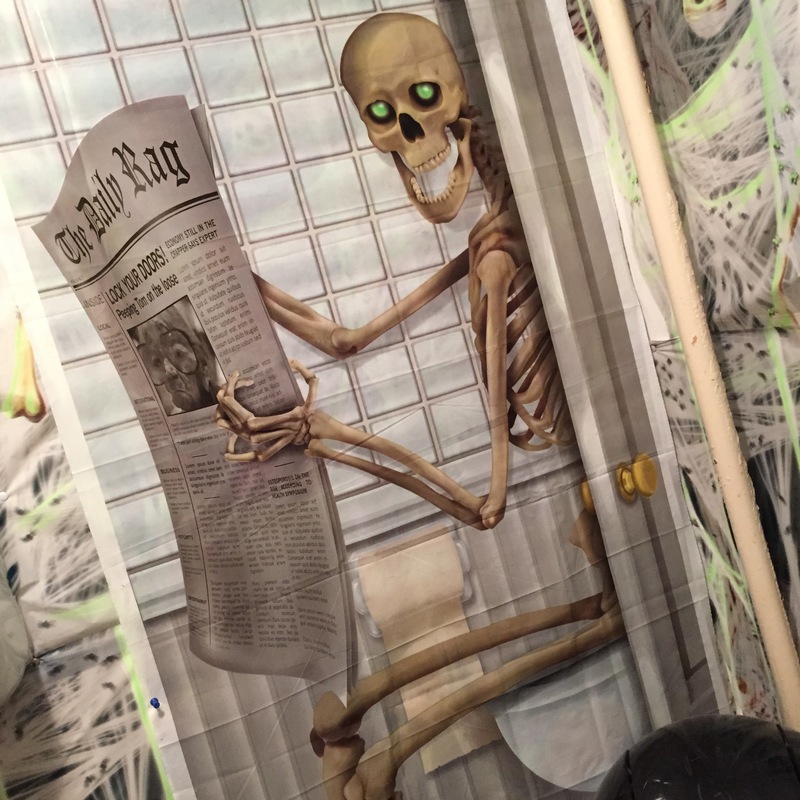 The woman had even decorated the bathroom, so that when you turned to the side this skeleton is what you would see. Giving the paying/peeing customer a little chuckle. We traveled across the country once, Gil, Maud and I, and before we left Gil ordered some kind of device off the web so that we wouldn’t have to stop so often at rest stops. Maud and I were disgusted, we didn’t even look at it. But now I sort of see the point. I think the crew might have a pail in the back of the truck. One of them dumps it at the end of the day, like a chamber pot. Female jet pilots take their facilities with them into the sky. When you’re flying for 11 hours, trekking to a bodega is not an option. There are books and websites devoted to finding women’s rooms in various cities, including Manhattan. As far as I know there is not one on Brooklyn. But the quest leads me into some nooks and crannies I might otherwise regard as unworthy of my time, like a little Mexican grocery on Avenue U. The owner was polite in directing me to the back of the store, and as I walked through, past the kitchen, the aroma of fresh tortillas nearly knocked me over. 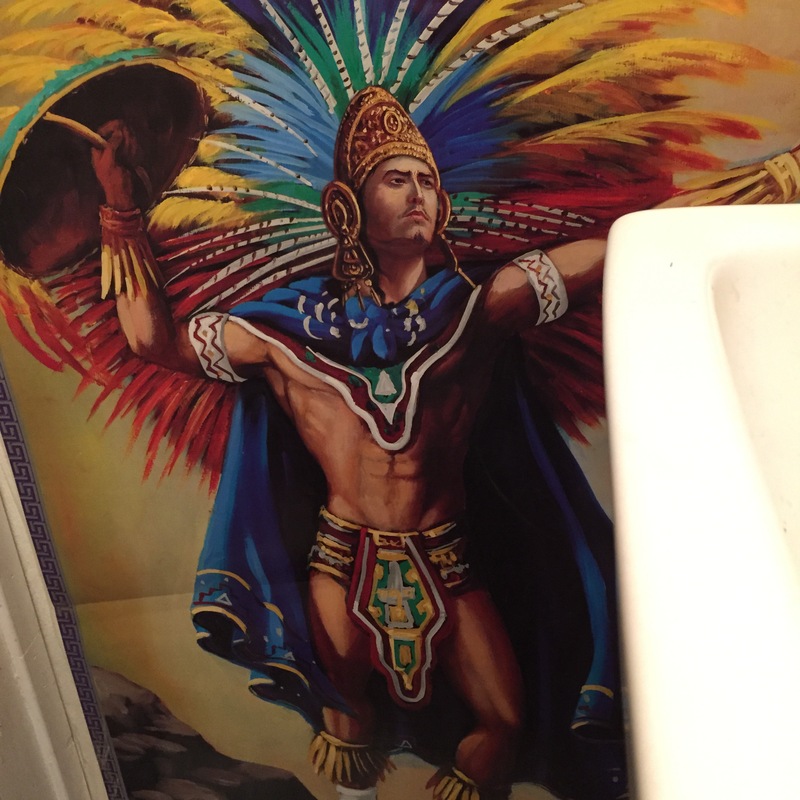 So did the pic on the back of the bathroom door. People ask if there are any women on the construction crews I’ve worked alongside. No, I say. Why do you think that is? we wonder. They’re just so strong, I say, It would be a very unusual woman who could do that kind of heavy labor. There are dozens, hundreds of women macha enough to work construction. But that’s not the real reason, of course. It’s that a woman couldn’t hold it in. The woes of the wee! I especially enjoyed the decorations!